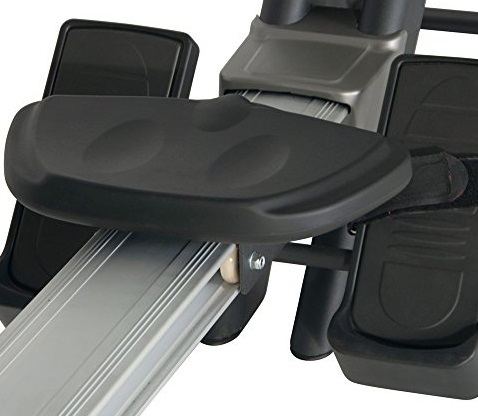 The Bladez rowing machine range is from BH Fitness, the Spanish fitness name that has over 100 years experience in the game. We tried the younger brother in the range a while back and was impressed - see the link for the Cascade below in 'Also worth a look' to read that review. 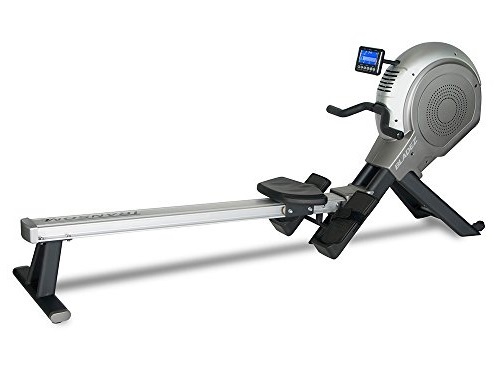 So we were looking forward to getting on the next one up, the oddly-named Transom (I mean, why name a rowing machine after a flat beam that re-enforces the back end of a boat?) Anyway, let's not get too worked up about the name, what about the machine? Well, to be brutally honest it was a big let down. 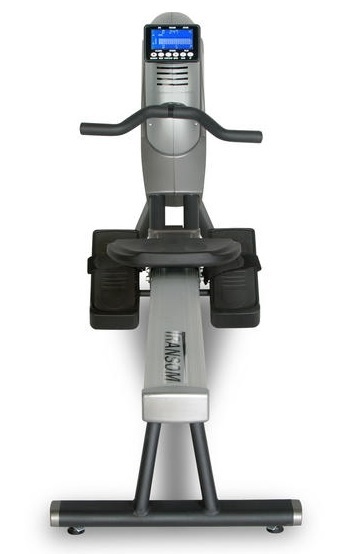 While it's not a particularly bad rower, it just doesn't excite. And for around $200 more than the Cascade we didn't think it lived up to the billing. 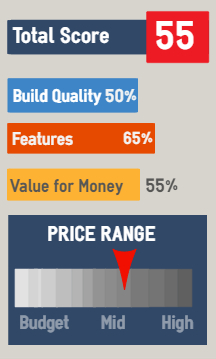 Add to this the fact that there are some very good machines in and around this price bracket, and it gets harder to recommend this model over its competitors - again see 'Also Worth a Look' below. If you're still here, then we'll get onto the nuts and bolts review. The Transom comes in two boxes and took just over thirty minutes to put together thanks to good instructions and everything being as stated on the box. 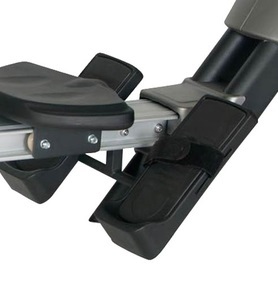 The rowing position is good and the seat position is high like a commercial model, but the seat is the same as you'll find on a number of budget models and whilst it's okay, you'd probably expect better for the price. The footrests are good and while hold your feet nice and secure in position - essential when you're flat out and up for a PB for 2000 meters. The beam is long and great for rowers over 6' 1" to get the full movement. We also liked the angled beam as it adds a little extra kick to your workout. But, yes here we go again, two reviewers noted that the seat wasn't as smooth as it perhaps should be - but note, both these users were over 220 lbs so this may be the issue, although the specification states a maximum user weight of 300 lbs. The curved handle is a good feature in our view and the chunky grips help to reduce hand blisters. 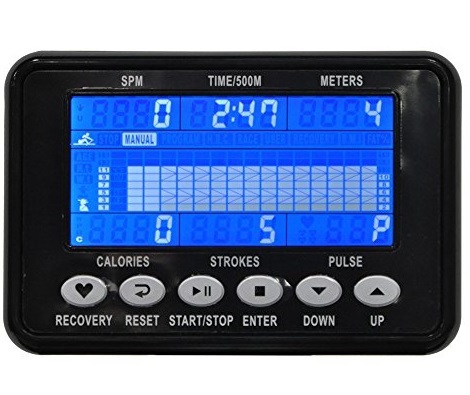 The LCD monitor is easy to read and display all the data necessary to log your progress such as distance, time, speed and strokes etc. But, and bear with us folks, this is a big but - we've had two reviewers experience a similar problem to the guy called Adam who's posted an extensive description on Amazon. This led to the accuracy of the 500 meter split times being called into question due to the alignment of sensors on the flywheel. We've had two reviewers who did not have this problem, but if you're paying a fair sum for a machine you don't expect to see this sort of thing. A disappointing rower when you consider how good the Cascade model is in comparison and costing a lot less. Yes, it has the super quiet action that may suit those living in an apartment or where sound is an issue, but it has very little else to recommend - especially when you look at the price tag. For around $200 less the Bladez Cascade is a better buy in our view. Other better options in the price range include the LifeCore R88 and Velocity CHR-2001, or the superior SOLE SR400. Or for just another $100, the far superior Concept2 Model D is a no-brainer. We're waiting for more comments to post here. Do you own a Bladez Transom? Post your comments below.